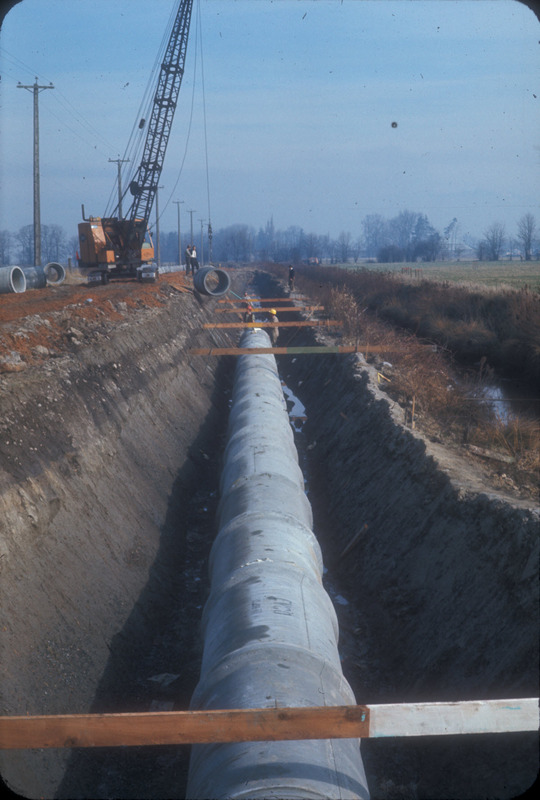 Part of an ongoing program to digitize historical images at the City of Richmond Archives are 980 slides taken by Richmond’s Engineering Department documenting a variety of major infrastructure projects in the municipality between 1969 and 1977. 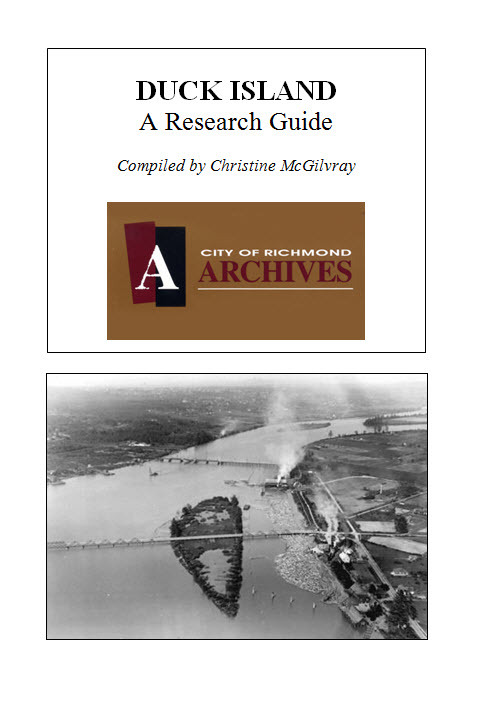 Highlighted here are just two projects from 1969: the construction of the Dinsmore Bridge and the Gilbert Trunk Sewer. 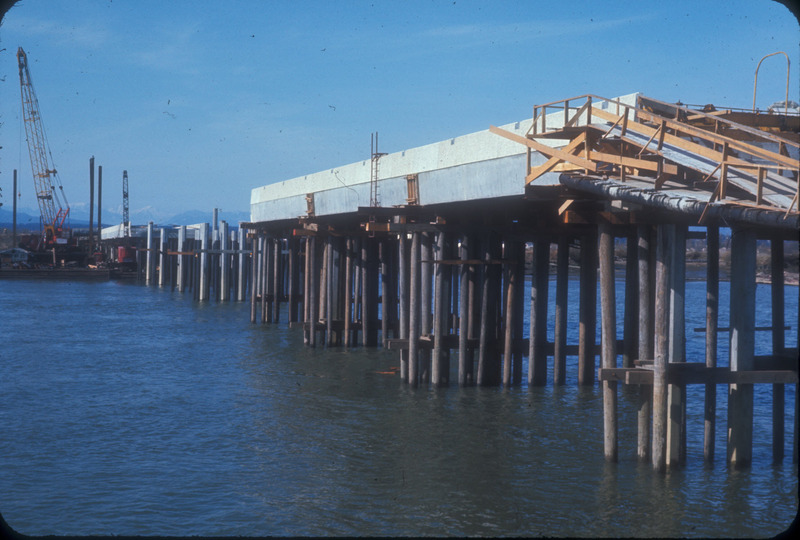 Before the opening of the bridge in 1969, the only connection between Sea Island and Lulu Island was the Moray Channel Bridge, built in 1957 to replace the old Middle Arm span of the Marpole Bridge. 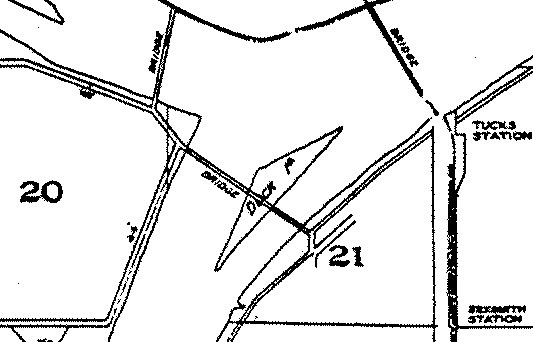 While the Dinsmore Bridge itself was built with funding from the Federal government, the approaches to the new bridge connecting Gilbert Road to Russ Baker Way were the responsibility of the municipal government. 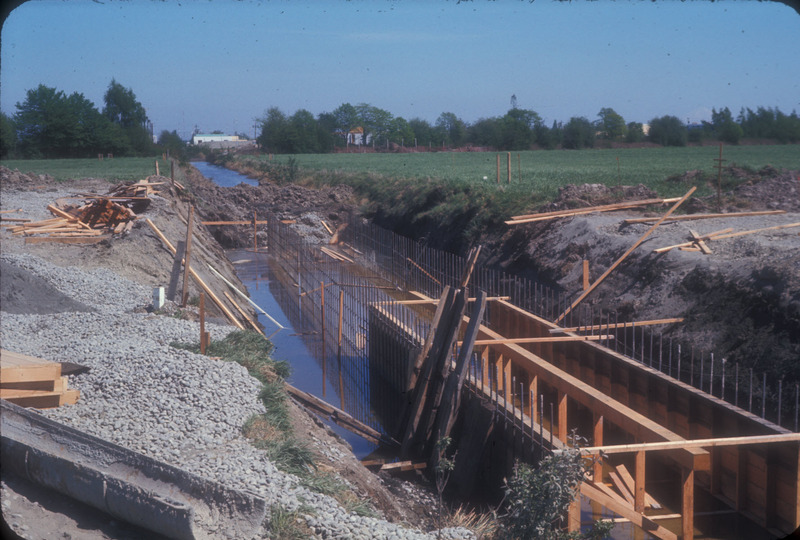 Part of the construction of the bridge approaches required the crossing of some of Richmond’s existing infrastructure, such as the Lansdowne Canal, as shown below. 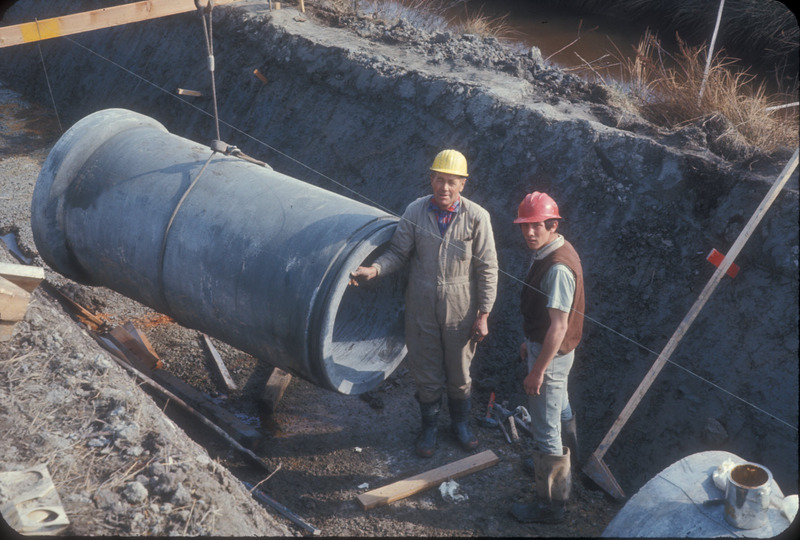 Another major construction project in 1969 was the Gilbert Road Trunk sewer, designed to collect sewage from lateral feeder pipes extending east and west to transport raw sewage south to an outfall in the South Arm of the Fraser. The new sewage system was designed to replace an older patchwork of collectors and outfalls. Today, the Gilbert Road Trunk Sewer No. 2, a parallel system, is under construction by Metro Vancouver. 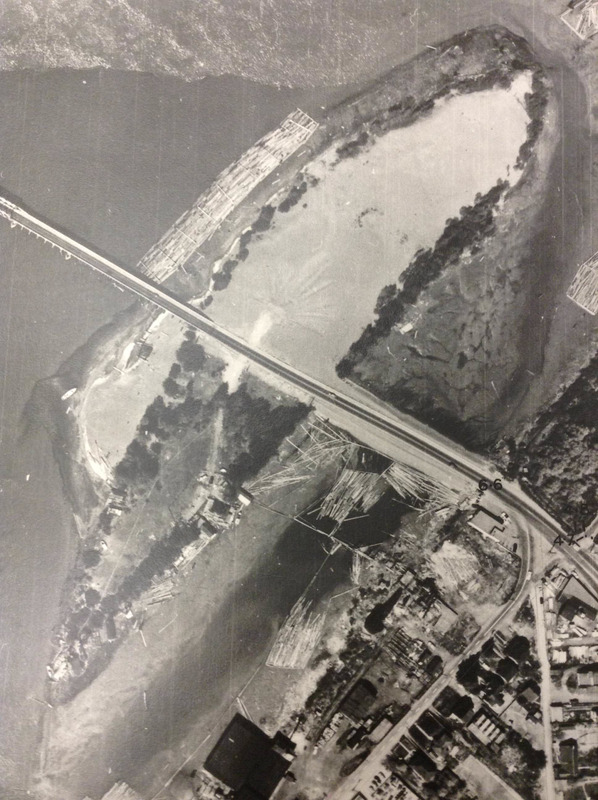 Before 1973, when the Lulu Island Wastewater Treatment Plant at the south end of Gilbert Road became operational, the pipe discharged untreated sewage directly into the south arm of the Fraser River near the foot of Gilbert Road. 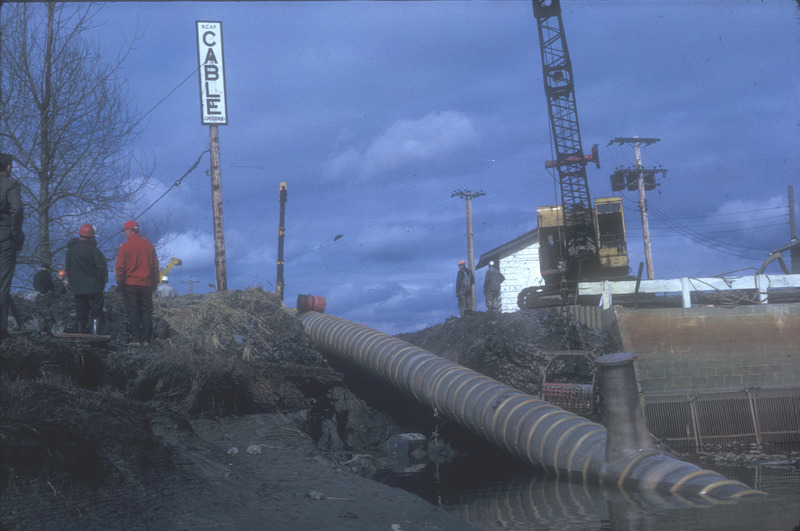 Other Engineering Department activities documented by the recently-digitized group of photographs include dyking and drainage projects, traffic and intersection studies, and aerial surveying of fire halls, municipal buildings and parks and recreation areas.